There is already a hype around Life of Pause with each pre-released track that comes out, especially for “TV Queen,” which features a very nostalgic synth sound that brings The Smiths, David Bowie and Washed Out to mind all at the same time. 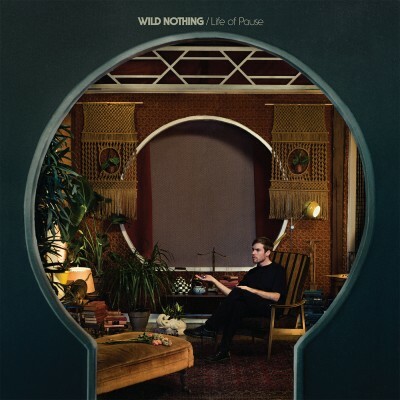 Life of Pause has been a long time coming, since Wild Nothing’s last full-length album, Nocturne, which came out in 2012 with only one EP release in between. Though the sound is nothing fundamentally different from Nocturne, each track on Life of Pause has something to pause about, yet fit together cohesively in the whole scheme of the album and Wild Nothing’s repertoire. The effect is something that is light and airy but still very present and worthy of attention. The instrumentals in each track feature more uptempo melodies and running bass lines than past work from Wild Nothing—yet the dreamy, effervescent sound of Jack Tatum‘s voice suspended over the distorted, echoic guitar chords slows down the pace to something more relaxed and effortless. Though difficult to classify, Life of Pause is a synth-pop album with a good mix of chill wave, lo-fi and electronic elements that manages to make something that sounds retro still sound fresh and gripping. Wild Nothing do not really change anything stylistically for this album as compared to their previous works—older hits like “Shadow” and “Chinatown” could have easily fit into the mix of Life of Pause. It’s still an evolution from past Wild Nothing albums that incorporates a fast paced marimba run in “Reichpop” and buzzing, consistent basslines in “To Know You,” and gives the chill wave elements that were always present in Wild Nothing’s music an edgier bite that keeps you interested the whole way through. The build in “To Know You” is subtle but effective as different rhythmic and melodic nuances are introduced over the ever growing, yet repetitive bass line. Life of Pause also incorporates of instrumental elements, like an acoustic guitar paired with a piano in “Adore” and a more traditional rock-based rhythm section in most of their songs. Similar to Toro y Moi‘s Anything in Return, the retro element is very strong with Life of Pause, but there is less of a ’70s R&B vibe and more of an ’80s glam electronic feel that translates over to a dreamy, ethereal yet low-key soundscape, though “Whenever I” has a very funky, Toro y Moi feel to it. “Japanese Alice” is definitely an outlier in Life of Pause, with a more pop rock feel and an upbeat chorus reminiscent of a Grizzly Bear track and contrasts with the much more somber piece, “Alien,” which is almost a comical slow jam with the chorus, “You make me feel like an alien” repeated at the end of each verse.